The plant will cut the energy deficit and boost the economy, but many aspects of the project have been criticised. A clean, sustainable energy future for Kosovo lies elsewhere. 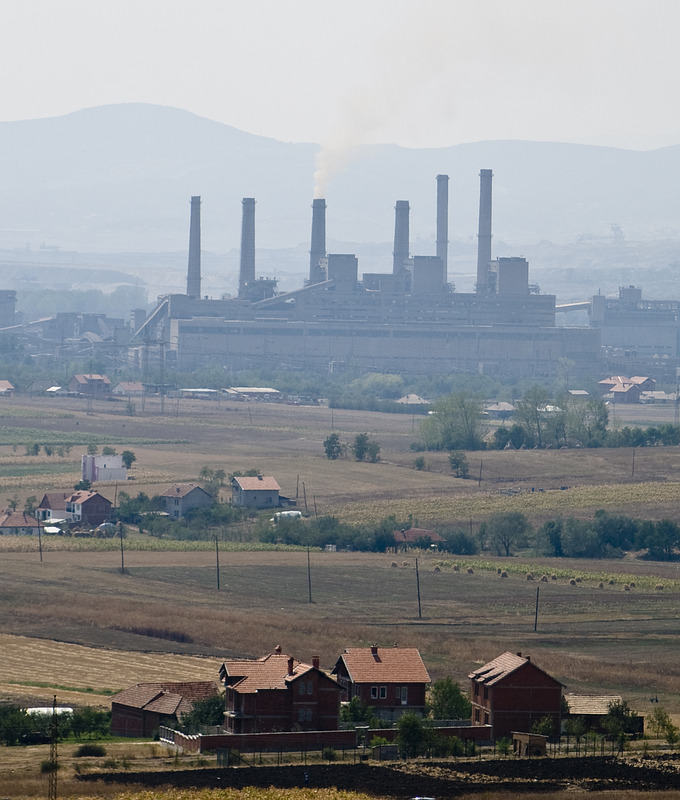 A new power plant is expected to boost Kosovo’s long-deficient domestic energy supply. The benefits to the economy will be significant. Besides the impact on economic growth, the new plant will help to narrow the huge trade deficit and reduce the high unemployment rate. The implementation phase of the project may encounter setbacks. Obstacles include the real cost of the project (which could be higher than initial estimates), public pressure on environmental issues, potentially higher-than-expected energy prices, and a lack of compliance with EU standards on energy. Kosovo needs to move towards improving energy-efficiency, and the development of clean energy sources such as wind. Kosovo’s long struggle with its energy supply appears set to come to an end in 2023, when the new ‘Kosova e Re’ Power Plant Project (KRPP) is expected to become operational. In a move that prompted significant public criticism, on January 19th Kosovo’s Ministry of Economic Development published a twenty-year concession contract with US firm ContourGlobal. The project is worth an estimated EUR 1.3bn, the country’s biggest investment. According to the Ministry of Economic Development, the representative of the Kosovo government in the agreement, the power plant will be transferred to Kosovan public ownership after 20 years. Its operational life will be 40 years. ContourGlobal is contracted to develop, design, construct, finance, own, operate, and maintain a lignite-fired electric power generation facility to be located in Obiliq, in accordance with existing environmental standards. The KRPP is expected to generate around 450 MW of energy. This falls some way short of earlier projections of 2000 MW. Nevertheless, this figure will greatly improve the current unstable electricity supply situation in Kosovo. It will also eliminate the high dependency on imports from neighbouring countries. The project will be financed by a combination of ContourGlobal’s capital (30%) and a loan, which may be provided by the International Finance Corporation. A new public company—‘New Kosova Electric Company’ (NKEC)—will be established to serve as an intermediary between ContourGlobal and the energy market. The construction of the power plant is expected to contribute positively to growth, by increasing domestic investment, improving the business environment and reducing unemployment. As the energy sector in Kosovo is a major impediment to the country’s economic development—including by dissuading foreign investors—the announcement is to be welcomed. Based on a simple calculation—research, studies, and a thorough analysis have not yet been undertaken—the benefits will be quite significant. The investment value alone according to Ministry of Economic Development will contribute an average of 2% per year to country’s GDP during the six-year construction phase (2018-2023). While having a positive impact on domestic firms acting as suppliers or sub-contractors to the project, it will also narrow the country’s trade deficit by reducing and eventually eliminating dependence on energy imports (in fact, KRPP will not only cut energy imports but will probably transform Kosovo into a net exporter of energy). Most importantly, it is expected to decrease the country’s high unemployment rate, with numerous new jobs set to be announced this year. Despite the many positives for the economy, the project has faced significant criticism. Among the concerns are the cost of the project, environmental issues, and price implications. According to the main part of the commercial contract (the Power Purchase Agreement), any termination of the contract would cost the Kosovan government EUR 19.7m, while ContourGlobal would only have to pay EUR 8m. The energy produced will be sold to the government at EUR 80/MW, higher than the previously agreed price of EUR 78.6/MW in the memorandum of understanding in November 2015. Parts of the contract are not fully disclosed (including environmental technology), and there is ambiguity regarding the Return on Equity rate (ROE), ranging from 20% to 18.5% on page 19 of the Power Purchase Agreement, which was lowered from initial rate of 21.5% (as had been agreed in the 2015 memorandum of understanding). This decrease is most likely to be compensated for by an increase in construction costs to EUR 1.3bn. According to the Institute for Energy Economics and Financial Analysis (IEEFA), however, the true cost of the project will be EUR 4.2bn, and will require “massive” subsidies. The IEEFA also argued that the new plant will increase retail electricity costs by 33-50%. Moreover, according to the commercial contract, the energy price is can change based on various factors. This means that the price paid by NKEC could increase, leading to higher retail electricity prices (potentially above the IEEFA’s predictions). Pressure from the general public is likely to continue during the construction phase on issues such as pollution and health costs. As a lignite-based project, the new power plant will entail pollution issues and may pose obstacles towards regional energy market liberalisation and meeting EU standards. Aside from declarations by the Ministry of Economic Development, the contract does not reveal many details about the technology to be applied to tackle these environmental concerns. If not disclosed, the environmental issue and its implications will further add to public pressure. In addition, as Kosovo moves towards EU membership, Brussels will surely impose additional carbon-emission costs, as by 2050 the EU expects member states to reach at least an 80 % de-carbonised energy supply. In this regard, there is an urgent need to formulate an appropriate policy for a de-carbonisation process which aligns with regional peers and the EU. As demonstrated, the new power plant will significant boost Kosovo’s domestic energy supply, but will also create several new problems. As a result, improving energy efficiency and focusing on renewables like wind must be Kosovo’s energy future. For example, it is widely acknowledged that a considerable amount of energy is lost in transmission and due to bad insulation in homes. In this respect, establishing a Kosovan Energy Efficiency Fund (KEEF)(1) could be a major step forward, not only in terms of financing the development of energy efficiency, but also in incentivising production and the use of energy-efficiency equipment. More broadly, switching to clean energy sources should be the country’s priority. Identifying and analysing Kosovo’s potential in wind as a source of energy could be an area of exploration. The feasibility of projects like Zatric Wind Park should also be examined. (1)Kosovo’s Energy Efficiency Fund (KEEF) was planned to be established in 2012 to serve as a source of financing (with preferential credit lines for investments on renewable energy and energy efficiency) to households and businesses. However, the establishment has been repeatedly postponed.